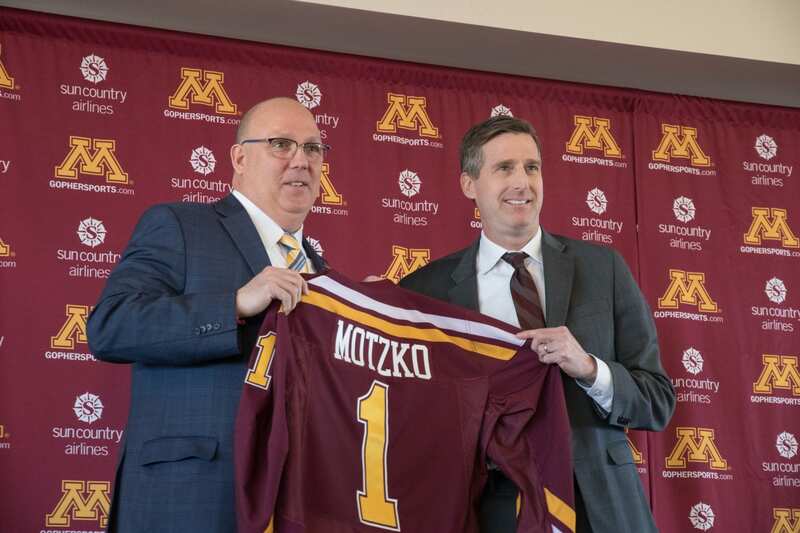 Instead of doing a story about Bob Motzko, the new hockey coach at Minnesota… I thought I would just head down to the U and capture the event in pictures. There were a lot of familiar faces at the news conference today. To see all three of the most recent coaches together was pretty special. (Woog, Lucia & Motzko) So below are a few of my favorite photos from today. Drew Cove from the Minnesota Daily joins us on the podcast this week as we discuss the Penn State Sweep of the Gophers. 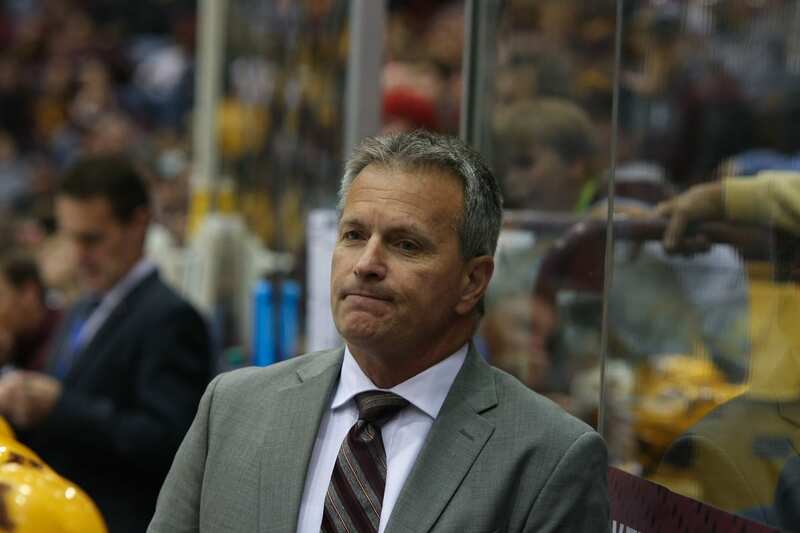 We also get in to a few players leaving early and the big topic… Will The Don be coaching this team next year? You can listen to the podcast above, or via iTunes / Google Play. Check out older episodes on the Podcast Page.